The Zistos Tanker Inspection System (IAD-TIPZ40-B6) that lets you visually assess conditions inside the tanker. The system allows you to identify hidden hazards and inspect for problems such as: structural issues, residual heel, vermin, foreign objects and more – so NO confined space entry is required! Rail tankers and tanker trucks – are confined spaces that pose significant risks. Confined space entries result in over 11,000 accidents and nearly 100 deaths each year. In addition to the human toll, the cost to companies can be staggering. This uniquely-configured video pole camera inspection system is inserted into a hatch, as shown above. It allows the pole camera to stay situated on the man-way, without the need for the operator to support its weight in position. The system utilizes a self-illuminating, high-powered 40X zoom camera positioned at a right angle on the end of a pole. The camera can rotate 360° in a horizontal plane and pivots forward, back, left and right for a full range of motion. Images are viewed on a 5.6” LCD display that can record live video or still images to an SD card, or transmitted via WiFi to a network or smartphone for later review. 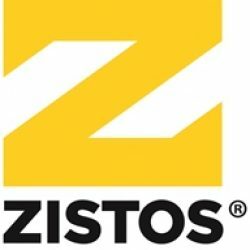 For more information, please don’t hesitate to reach out by phone: (631) 434-1370, email: info@zistos.com or website: www.zistos.com. We look forward to hearing from you.